Price reduction on ICI Magnum Bumpers + Free T-Shirt! - Ford F150 Forums - Ford F-Series Truck Community. 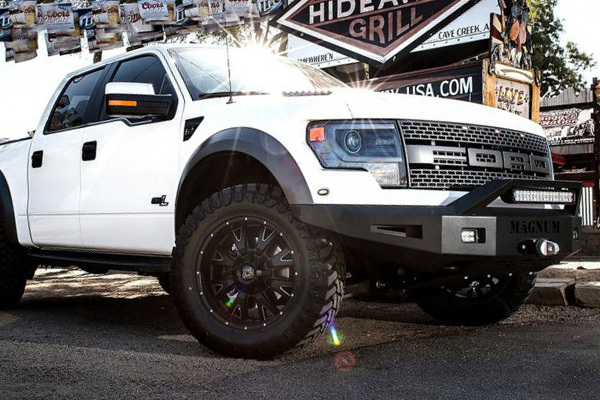 Magnum Bumpers by ICI will blow you away with their heavy duty construction and stylish good looks! Made with the off-road enthusiast in mind, they offer functionality, smart design, and they look great too. 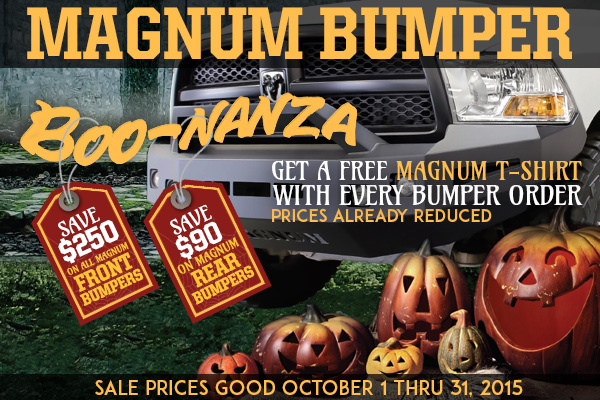 Save up to $250 ordering Magnum front or rear bumpers. Get a FREE Magnum T-shirt with every bumper order. Offer is valid through October 31, 2015. Last edited by carid; 10-13-2015 at 08:52 AM. Is $1100 a good price for Gears/install? Quick Reply: Price reduction on ICI Magnum Bumpers + Free T-Shirt!